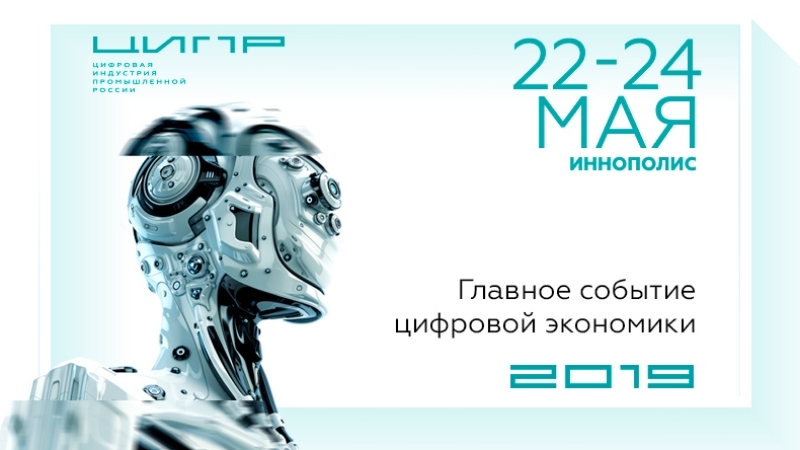 On May 22-24, Innopolis will host annual conference “Information technology of industrial Russia”. CIPR-2019 will be dedicated to cross-cutting digital technologies and the prospects for their development in Russia. The conference will discuss the strategy for the development of digital technologies and will be implemented in road maps for each of the cross-cutting technologies. The core community is already actively involved in their preparation and roadmaps will be introduced to a wide range of experts at the event. CIPR-2019 traditionally brings together heads of federal and regional departments, representatives of big business and start-ups, private investors and state development institutions, business operators and representatives of the scientific community. The event will be held in Innopolis with the support of the Russia's Presidential Executive Office, the Ministry of Industry and Trade of the Russian Federation, Russian Ministry of Communications and Mass Media, the Ministry of Economic Development of the Russian Federation and the Government of the Republic of Tatarstan. Strategic partners are Rostekh State Corporation, Digital Economy Company and the Eurasian Economic Commission.